Feb 2019. Rail travel is more popular than at any point since Victorian times. Yet, despite hundreds of reopenings being proposed, few reach construction. This report outlines the case for an initial national reopening programme of 33 priority schemes, based on their viability and social, economic and environmental benefits. December 2018. Poor public transport impacts on the health and wellbeing of communities and rural economies. 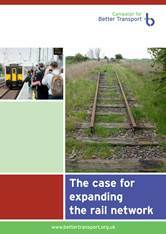 This report calls for urgent reform and makes a number of recommendations on how to ensure people living in rural areas remain connected to the national transport network. November 2018. Transport networks should be efficient, affordable, accessible and comprehensive. Good modal interchanges are central to creating such networks. This report makes the case for a new generation of transport interchanges, taking account of technological, administrative and social developments. 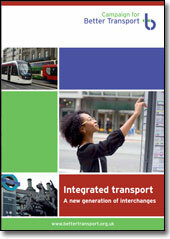 Making Transport Local: Devolution of Transport in England outside London - October 2014.